The public transit industry is constantly buzzing with updates! Staying abreast with all the new transit stories can be daunting. No worries – we’ve gathered some of the top stories this month to keep on your radar. Long gone are the vehicle systems of just buses and trains. There’s a new kid on the public transportation block that’s giving commuters a healthier and self-starting alternative to riding to their destinations. Electric-biking (or scooters) sharing is a trend that is picking up speed with many public transit agencies because it provide a multimodal, door-to-door mobility solution that is low-cost and low-hassle for commuters, and helps cities reduce their carbon footprint. The future for public transit may very well be electric bike sharing. Most public transit companies are integrating electric and bike-sharing. Different bike companies like GoFord Bikes and Light Electric Vehicles (LEV) are doing partnerships with transit companies to be integrated with traditional transit solutions such as trains and buses. DCTA is currently working with the University of North Texas (UNT) and City of Denton on a new Spin Bike program that will be implemented soon. The program allows students to utilize bike rentals to commute on and around campus. UNT wants to reach a point where students can leave their bikes at home and use bikes from its Spin Bike program. Positive Train Control (PTC) is an advanced system designed to automatically stop a train before certain accidents occur. They help with stopping train-to-train collisions and derailments caused by excessive train speed. Since being implemented in 2008, PTC has progressed to being fully functional on 30 percent of rail tracks in the U.S. 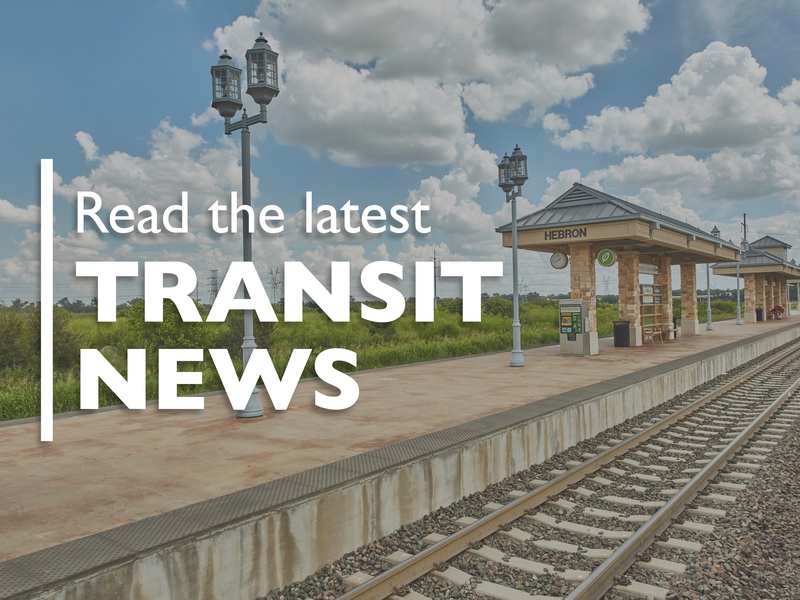 Many public transit agencies are currently in the testing phase and show a steady progress, according to the American Public Transit System (APTA). Implementing the technology on commuter railroads is expected to exceed $4.1 billion. DCTA is committed to rail safety and is working to implement PTC. We are the first public transit agency in Texas to begin PTC testing. To test PTC and meet the federally-mandated implementation of December 31, 2018, we have identified temporary A-train service modifications to maintain the agency’s progress on PTC. Currently, we are suspending the last two trains on Friday evenings and the first train on Saturday morning to accommodate the required testing. We encourage riders who typically utilize these specific A-train schedules make plans to board an alternate schedule. PTC testing may continue through September 2018. Flixbus is a European based mobility provider that begun its phases stretching across the globe to the Southwest U.S. They’re bringing this new commuter bus from Los Angeles to Las Vegas, Los Angeles to Phoenix, Phoenix to Vegas, and much more. By bringing the new provider overseas, Flixbus is creating more than 7,000 jobs with connections and links to major well-known bus transit systems. With tickets as low as 99 cents, WIFI and plug outlets onboard, it’s no wonder why riders are hopping on board. What makes this mobility provider unique is the fact that it’s a cheap travel option. Who wouldn’t want to travel somewhere by bus from 99 cents to $2.99? These prices are unmatched with what the U.S. has available regarding travel expenses. The southwest part of the country can also marvel at how environmentally-friendly Flixbus is. This new alternative to long distance travel meets a high level of efficiency in terms of fuel consumption and greenhouse gas emissions. Summer Days and Sun Rays – Fun Things to Do in June!